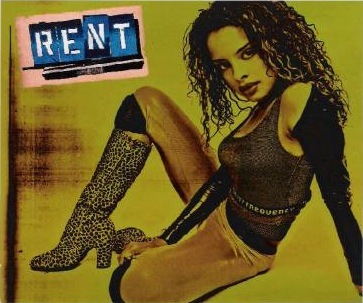 One of Blindie's favorite Broadway stars Antonique Smith (right), who played Mimi Valdez in the musical hit Rent, is jumping to the big screen as Faith Evans (left) in Notorious. The upcoming biopic, which chronicles the life and death of Notorious B.I.G. (a.k.a. Christopher Wallace), stars Angela Bassett as Biggie's mother Voletta Wallace, Derek Luke as Sean "Diddy" Combs, Anthony Mackie as Tupac Shakur, and unknown actor Jamal Woolard as The Notorious B.I.G. The highly-anticipated film hits theaters on January 16. 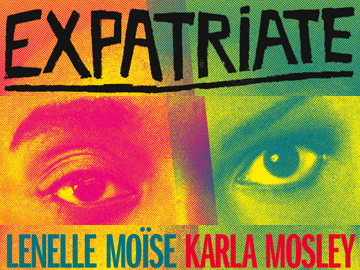 At the Culture Project on Mercer Street in New York, Lenelle Moïse and Karla Mosley star as two African-American performance artists, who flee to Paris to fulfill their dreams, in Expatriate. The two-woman play, directed by Tamilla Woodard, features original music and choreography and will end its run on August 3. Proclaiming it "delivers on all counts," the New York Times said in a recent review, "With all the theater out there, how inspiring it is to be reminded how invigorating an Off Broadway play can be with just two appealing performers, compelling music and a searching, intelligent script." Buy tickets online at Cultureproject.org.